I used to see a psychologist for my chronic pain and she would do hypnosis with me during my sessions. I always looked forward to our time together because of how good I felt afterwards. I did notice a reduction in pain because I think it allowed me to fully relax my muscles. If only I could stay like that all the time! Kym Tolson is a certified hypnotherapist so she is the perfect person to help you if you are thinking of trying out hypnosis to overcome whatever challenges you face in your life. Her shop Hynotransformations has a tonne of interesting sessions. I was very intrigued by the Past Life Regression as this has been something I always wanted to try. She also has sessions for people with chronic pain like me or people looking to make positive lifestyle changes. The sessions are available via CD or MP3 format. Just make sure that if you do get them with MP3 format that you burn it onto a CD. I procrastinated with mine and just had the file saved on my old laptop which later completely went kaput! 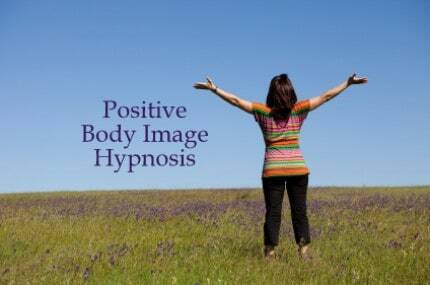 Kym will also make a customized hypnosis session to suit whatever issue or challenge you have. I told her about the chronic pain I have and she actually knew what it was because she had made a customized session for another client with the exact same problem as me! Hypnosis allows a person to quiet their conscious mind and automatic negative programming long enough to hear new positive messages. Positive messages translate into healthier, positive, life changes. If a person believes it will work- it will work. It’s the same principle of The Secret or the Law of Attraction. Whatever messages we take in, we will put out. If we are programmed to think we are unhealthy, fat, depressed, inflicted with a disease etc. this is how we will live our lives. Changing the messages we believe changes the way we live our lives. Hypnosis allows us to become deprogrammed and reprogrammed to a healthier way of living. Anyone can benefit from hypnosis providing they are of normal intelligence and able to relax. A person will have to want to be hypnotized and willing to believe it might work. How often should I be listening? I suggest you listen your session at least three times a week for the first month and then weekly for the second month. If you want to listen more often, please do because the more you listen the better hypnosis works. I decided to try out the Hypnosis for Fibromyalgia download. Although I don’t suffer from Fibromyalgia, I figured it was the closest one that would help my pain. For any of you that also suffer from chronic pain, you will understand what a toll it takes on your body, mind and spirit. The stress during flares is the worst as I sit and wonder if the pain will ever subside and think those catastrophic thoughts. I have had this download for awhile and I did notice that it helped me deal with the stress during symptom flare ups. The important thing for me during a flare is to NOT freak out because that only prolongs the flare and the pain. When I learn to let go and relax into my body and TRUST that my pain is going to get better, then it subsides much quicker. I found this session to be very helpful in allowing me to reach the point of letting go which is exactly what I need to do mentally and physically. This is an excellent tool for me to use to help control my pain and I know that hypnosis really does work. I’ve done it many times before and its true that consistency is the key. It gets easier and easier to let your mind go as you do it more often. I would be interested in trying some of the other sessions and see what they are like to. You can also order it in CD format if your computer doesn’t have the capacity to burn CDs. This particular download is 50 minutes in length. Â Check out all the interesting hypnosis sessions at Hypnotransformations!